Toner cartridge is designed for use with Lexmark X463DE, X464DE, X466DTE and 466DWE. 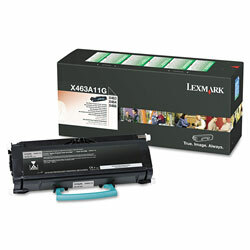 Black Laser Toner Cartridges from Lexmark! 100 In Stock today.